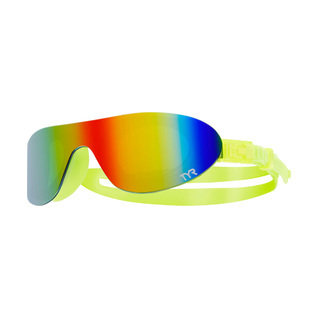 Attain instant swag with the Swim Shades Mirrored Goggles. 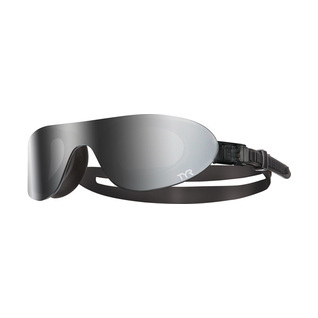 Equipped with durable, hypoallergenic silicone gaskets, the LGSHDM recreation goggle provides a comfortable, watertight seal that maintains its shape over time. Featuring a simple and secure release button that allows for quick and easy strap adjustment, the unibody design of the Swim Shades fits various facial types. 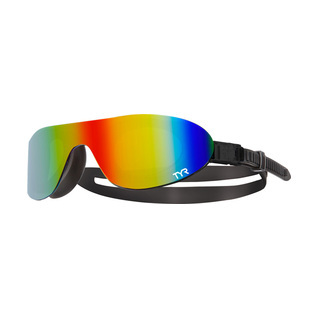 Mirrored construction results in highly reflective, bold statements of color, while no frame construction makes this active swim goggle look just like sunglasses. Silicone Gaskets: Durable and hypoallergenic silicone gaskets that provide a comfortable, watertight seal and maintain their shape over time. 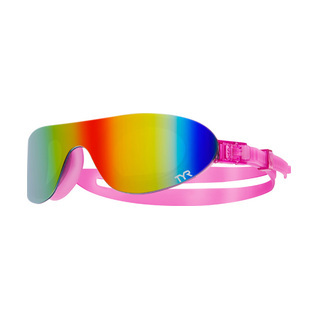 Mirrored Lens: Highly reflective, bold statements of color. Mirror coatings are strictly cosmetic and do not provide any difference in vision. Very comfortable and water tight. Highly recommend.